I just returned from Money2020 Europe and am positive it was the best conference I’ve ever attended. It’s clear from post-conference chatter that I am not alone. After spending the last 18 months studying European fintech companies and regulation from afar, I finally decided put my feet on the ground to see if it lived up to the hype. 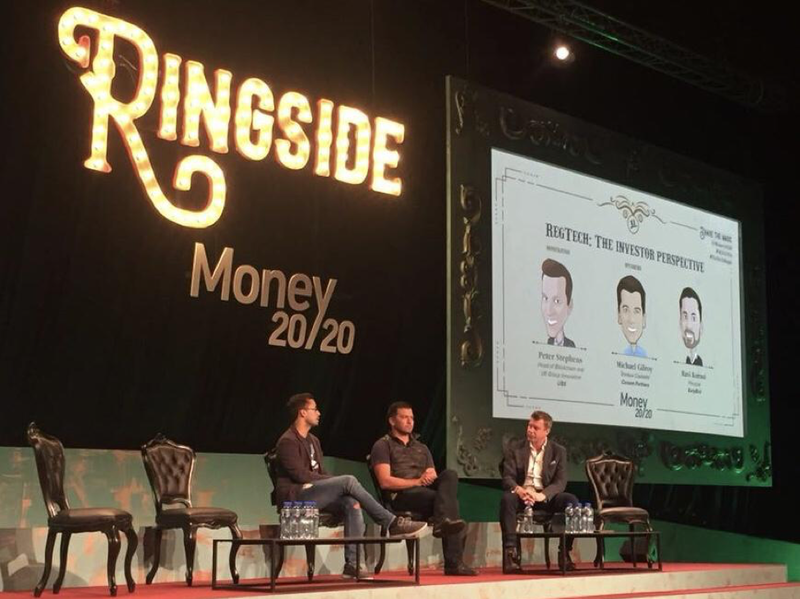 It did: the innovation and thought leadership from founders, regulators and incumbents alike are four to five years ahead of where we are in the U.S. As a result, Money2020 proved to be deeply invigorating for me as an investor. The impact of PSD2 is bigger than I thought. GDPR is a smaller deal than I thought. I will not repeat the full definition of PSD2 (Payment Services Directive) here, but, at its very highest level, PSD2 mandates that financial institutions must share certain data with third parties — like startups — in a standardized, read and write format. The spirit behind this policy is to increase competition and deliver a better consumer experience for Europeans (hat tip to European regulators for enacting such a mandate). We have already seen the huge impact of this regulation with European neobanks (Revolut, N26, Monzo etc. ), which have been wildly successful in acquiring users. These companies are already enjoying success from the regulation, but I’m particularly excited about the downstream opportunities and the new set of infrastructures that fintech and non-fintech businesses will need. Clean financial transaction data is now being complemented with other types of data traditionally found in a B2C CRM (clickstream, commerce history, location, customer service transcripts, POS item level data etc.). Applications that benefit from this vary but I think we’ll see a lot of great innovation across B2C and marketing tech. With neobanks gaining rapid traction across the region, I expect to see more granular POS data come online completely, thereby changing rewards and loyalty programs, marketing technology and advertising. With all of this new data coming online, there is a need for an infrastructure layer similar to what we have seen in the U.S. with Yodlee, Plaid, Quovo, MX etc. These companies act as aggregators to view accounts, check balances, streamline AML/KYC requirements and ultimately help with things like credit decisioning. But, unlike in the U.S., these European infrastructure solutions do not need to screen-scrape or deal with banks hedging on granting data access — PSD2 requires it. I expect the new age European infrastructure suites to be used by a wide range of customers across fintech, e-commerce, marketing, retail and more as the market matures. More importantly, these infrastructure businesses can focus their resources on higher ROI features without having to deal with the arduous data gathering process that is present here in the states. With an abundance of available data, the other big piece of European legislation right now is GDPR (General Data Protection Regulation). This undoubtedly an incredibly important policy that I suspect most countries around the world will replicate in some capacity. With that said, from a new startup perspective, the feeling on the ground was that this is much more of a change in internal processes and existing technology stacks as opposed to buying new software to address the issues. A few startups will be winners here, but that number will be smaller than what I had originally thought. Proximity to Asia is a massive differentiator and benefit for European fintech. Both continents will produce real competitors for U.S. fintechs. “All big brands will become fintechs.” If you hang around the Canaan fintech team enough you’ll hear this often. I sat through a presentation by an executive at Grab, the Singapore-based ride hailing company, and if you didn’t know any better you’d think it was the most sophisticated late-stage fintech company in Asia. The company is leveraging its own data-plus-partnerships to offer: GrabPay (payment services); GrabReward (rewards and loyalty services); GrabBenefits (discounts and offers negotiated for drivers); loans and lending services and most recently, insurance. “[Grab] is encouraging other financial institutions to join a new joint-venture with Credit Saison Co. called Grab Financial Services Asia. By using its rich data on customer behavior, the platform plans to provide loans to millions of people who are not served by traditional banks. Grab is also teaming up with insurer Chubb Ltd. to offer policies to its 2.6 million drivers. [Southeast Asia Managing Director Jason Thompson] echoed [CEO] Anthony Tan’s vision to serve the 'invisible people' who will benefit from having access to financial services. 'Nobody has any data on them; the platform is all designed around them,' Thompson said in an interview. 'We’ve built the largest internet platform in Southeast Asia and this is another extension of that story.'" To be clear, Ant Financial wrote this playbook but it’s fascinating to see it replicated at such a large scale in another business. This playbook and way of thinking is permeating its way through Europe and, in my opinion, will only be further amplified by the PSD2 open banking standards. It’s only a matter of time before these well-capitalized and globally-thinking businesses begin to enter and dominate certain markets in the U.S. — Alipay and WeChat have already entered the U.S. with New York City cabs and hotels popular with Chinese tourists. Additional proof of this is Revolut’s recent announcement of plans to apply for its US banking license. With two million users, $350 million raised and deep experience leveraging open banking standards, I think they could be a legitimate threat to U.S. startups that have spent some of their time struggling with access to data. U.S. fintechs and conglomerates aren’t sitting on their hands: Amazon has a massive lending business that doesn’t get nearly enough credit; Shopify is leveraging its ecommerce data to offer loans; Square launched a wildly successful Capital product; and Facebook and Google still have a huge opportunity to capture a meaningful piece of the payments market. We at Canaan are encouraging more and more of our portfolio to think about financial products that can be differentiated by leveraging proprietary data on customers in the same way startups in Asia and Europe are. I was blown away by the innovation, talent and enthusiasm in European fintech and hope to partner with more European founders and investors in the future. Want to know more about PSD2? Wired does a good job defining PSD2 here. PWC also has some great content on the topic here.